IOT (Internet of things) is common notion these days but what really you can do with it? what first thing you want to connect? how you can make something smart if it isn’t smart? i.e Smart Heating, what are the pros and cons? You only have two options, one buy off-the-shelf commercially available product (there are tons and tons of comparison between all commercially available solution so i m not going to go through any of that), second you could spend less and have fun building things yourself. Fancy second option? then Let Get Started!!! 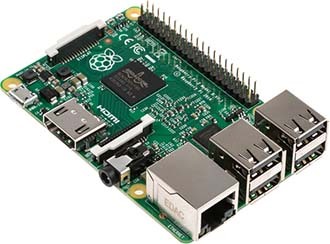 This Project is based on credit card size single board computer called Raspberry Pi, whole systems is presented using Apache web server, all information is stored in MySQL database. Python script is used to log temperature sensor data using One wire DS1820 temperature sensor, most of the code is written in PHP. Following posts aren’t in sequence, if you want to follow all step by step please check this link. PiHome Smart Heating controller required some task to be schedule on regular interval to function properly, add all following crontab jobs as root Database Cleanup: Delete Temperature records older then 3 days. Delete Node Battery status older then 3 months. Delete Gateway Logs data older then 3 days. if you want to keep all data comments following line. Get CPU temperature and update database.